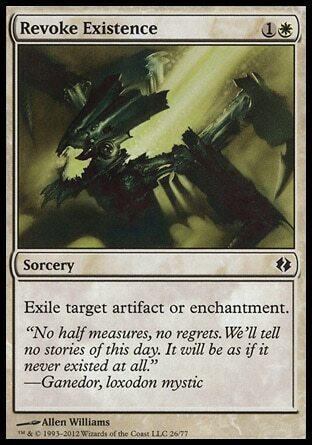 Card Text Exile target artifact or enchantment. Flavor Text "No half measures, no regrets. We'll tell no stories of this day. It will be as if it never existed at all."